Spiritism has some practices meant to help the elevation of the soul towards God, viz. access to God’s realm, which depends on our spiritual transformation by assimilating the divine qualities. This internal transformation is based on a personal discipline in the observance of the maxim «Without charity there is no salvation» and in the observance of the duty of prayer. The Divine Law of Justice, Love and Charity takes priority over the other Divine Laws, and establishes the necessity to practice these virtues towards the neighbour, in order to live in peace and happy. The practice of this virtues results from a continuous personal discipline. Apart from an act of communication of thoughts, emotions and feelings, the prayer is an opportunity to ascend to God. Its frequent practice is a continuous personal discipline, because ascending continuously to God is the destiny of all men. Spiritism describes abundantly the functionning and practice of the prayer agreeable to God. It offers as well a collection of prayers as a guide to inspire the spontaneous expression of the prayer in all occasions, and support its practice. Spiritism describes the importance of the study in Spiritist Doctrine and of the reflection for the self improvement in order to achieve being a good person. Groups of study and lectures in Spiritism begin and conclude with a prayer. Also called Passes, appears all along the history of Humanity and Jesus gives a good example of it. This practice offers the opportunity to bring together the calming influence of higher spirits and the energy of love from the person who imposes his hands and through which spirits act. In the modern Spiritism, the laying-on of hands is offered by a spiritist worker, without physical contact, that is to say away from the body of the person who receives it; it has no other purpose than the appeasement of the soul; and it begins with a prayer and ends with a prayer. During the laying-on of hands, soft music can complement the mood of recollection to which all present are invited to join. A variant of the spiritist practice of laying-on of hands, energized water results from the impregnation of water by the calming influence of superior spirits, which act on the water through the energy of love from the people attending the prayer, which is headed by a spiritist. This water is then ingested by each. This practice may accompany the laying-on of hands. In the modern Spiritism, the practice has no other objective than the appeasement of the soul. Other religions use the term “holy water”. The practice of communication with the spirits, also called mediumship, channeling or prophesying, is widespread in the history of mankind, and Jesus gives a good example (see Gospel According to Spiritism, Chap. 28, para. 8). Saint Paul also refers in detail in the First Epistle to the Corinthians, to those who prophesy in the assemblies of Christians. In the modern Spiritism, communication with spirits is done under the authority of God; used to acquire proof of immortality and collect the teachings of spirits; and is always free, like other spiritist activities. 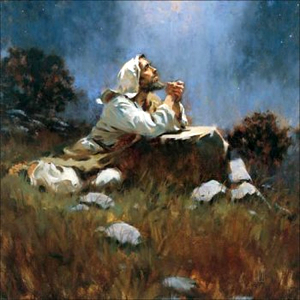 Communication with the spirits may also be the opportunity to pray for the suffering souls and repentant spirits who ask for prayers (Gospel According to Spiritism, pp. 310 and 313). Spiritism can and should be studied, analyzed and practiced in all its fundamental aspects, such as: scientific, philosophical, and religious. Spiritism has no strict rites or rituals, following the christian principle that tells us God should be adored in spirit and truth. Spiritism has no ministry within, neither does it adopt or use in its meetings or in its practices any of the following: sacraments, vestments, alcoholic beverages, incense, tobacco, altars, banners, candles, processions, talismans, amulets, the making of promises and the paying of penances, horoscopes, fortune telling of any kind, pyramids, crystals, chromotherapy, or any other form of cultism. Spiritism invites all those who are interested to explore its teachings always submitting them to the scrutiny of reason before accepting them. Mediumship, the channel for the communication of the spirits with man, happens independently of of the beliefs. It exists since all times. Spiritist mediumship, however, is only that which is practiced based upon the principles of Spiritism and within Christian morality.